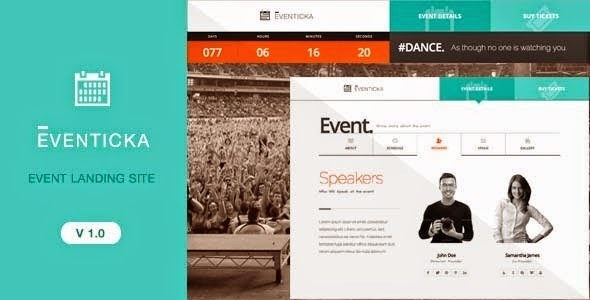 Eventicka is an responsive HTML theme for Events & Ticketing online. This theme can be use as landing page for promoting events. Other JQuery Enhancement such as Image Overlay, Lightbox, Fullscreen Sliders etc.. Item Reviewed: Responsive Event Landing Page & Ticketing Template 9 out of 10 based on 10 ratings. 9 user reviews.